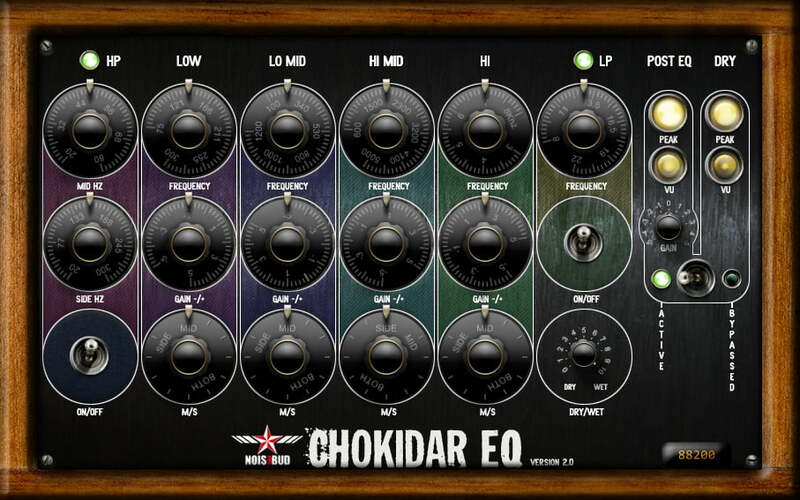 Chokidar EQ is intended for balancing mixes in mastering. 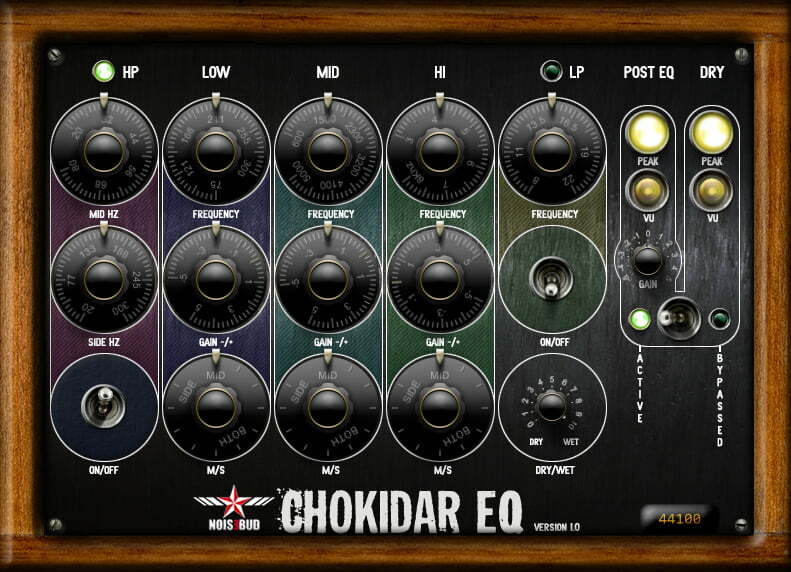 Chokidar is build from an ingenious analogue concept that would have knocked your socks of if it wasn’t for the amount of added noise. When we went through the blue prints for the analogue circuits we realized that it would be fairly easy to make a digital version that would be completely noise free (digital “cabling” is good that way) so we went ahead and created the Hi-Shelf filter at first and got stunned how good it was. The principle seemed to migrate really well into the digital world so we decided to build the whole damn thing. You can almost guess what it does by just listen to it and you might as well do that because we’re going to keep the concept a secret, at least for now. Rob Herder, Chris Townsend, Peter Schoffhauser, Jeff McClintock, Lee Louque, Snoochie Bear, John Parry and all of our testers. As of the release of version 2.0, version 1.0 is now completely FREE!!! A Donation for the All Plugins Bundle will give you all new plugins and updates for a whole year from the day of your donation. If you want to continue to get all new plugins and updates after a year you will be able to do so by paying a small upgrade fee. To upgrade, contact us with your details from your receipt and we’ll send you a personal discount code. By downloading any of our plugins you subscribe to our mailing list. You will be able to unsubscribe at any time.